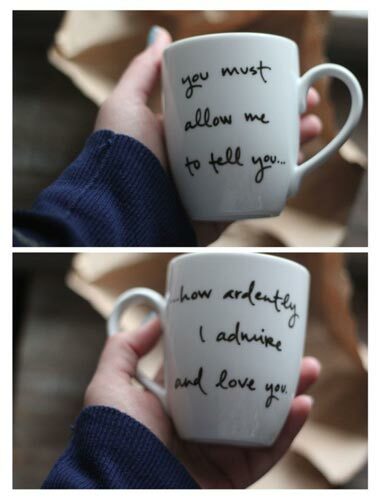 How sweet are these coffee mugs inspired by Pride and Prejudice? I drink coffee too much, and im sure this would make me smile! What a lovely gift! I love coffee mugs in general:). Love and love coffee mugs!